Who is God? How does the Church help me to know God better? What is the connection between faith and reason, between the spiritual life and "real life"? These questions and many others are answered simply and with clarity by the best-selling author. 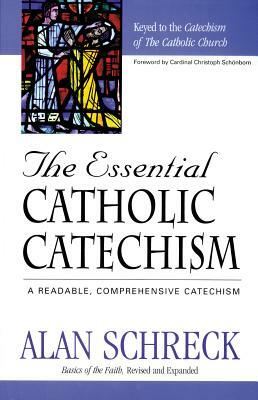 This book will give you an introduction to the Catholic faith that is both theologically sound and readily understandable. An excellent tool for those who want to be able to explain the Catholic faith more clearly: religious education instructors, pastors, and RCIA directors. A Servant Book. ALAN SCHRECK, Ph.D., professor of theology at Franciscan University of Steubenville in Ohio, is the author of numerous books, including Catholic and Christian, The Essential Catholic Catechism, Catholic and Christian for Young Adults and Vatican II: The Crisis and the Promise.